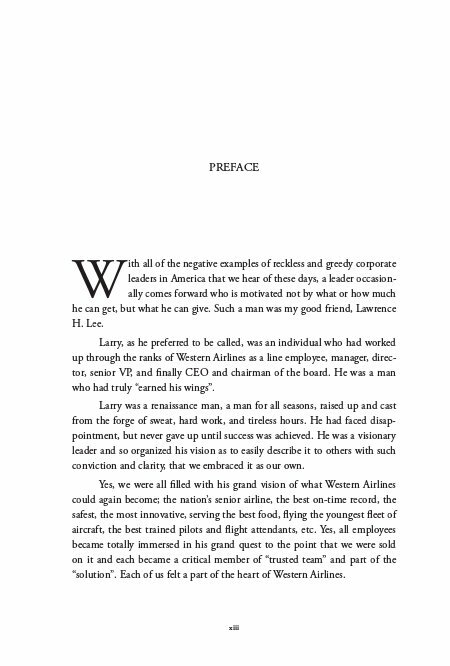 "Riding for the Brand" is the personal history of Lawrence H. "Larry" Lee, who started with Western Airlines in 1943 as a baggage handler, and worked his way up to Chairman of the Board. 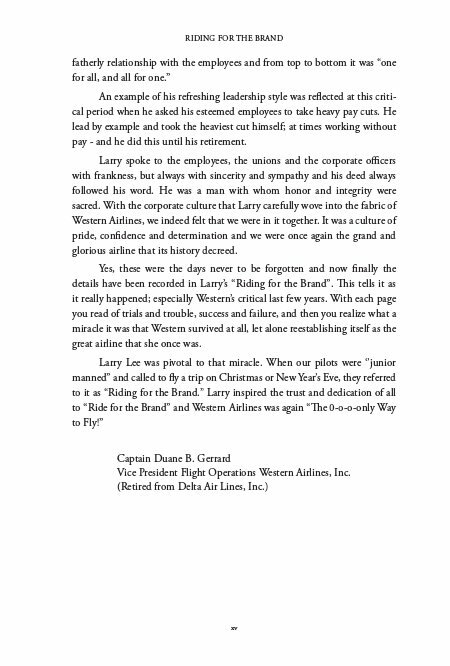 Larry led the company during turbulent times, and through negotiations with Western's five unions when concessions had to be made to save the airline. Larry believed in miracles, and knew they could happen with enough hard work and dedication. 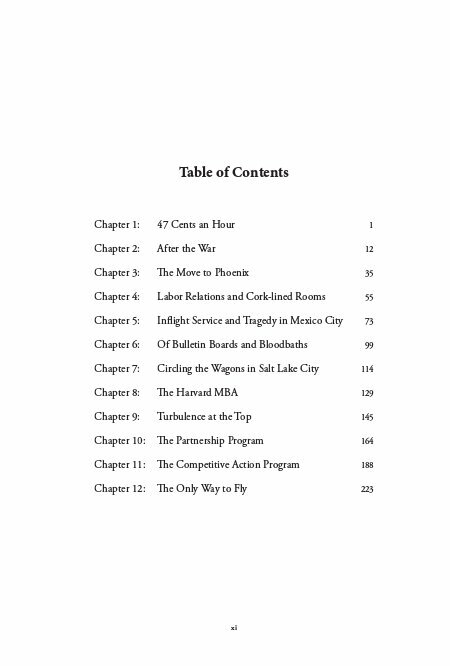 At this time in commercial aviation, profit sharing with employees, and having employees serve on the board of directors was unheard of. Larry was truly a visionary leader, respected for his honesty and integrity. 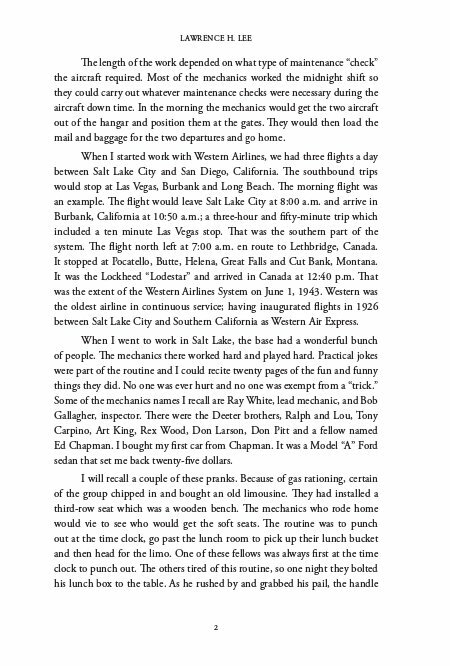 "Riding for the Brand" is the personal history of Lawrence H. "Larry" Lee, who started with Western Airlines in 1943 as a baggage handler, and worked his way up to Chairman of the Board. Larry led the company during turbulent times. 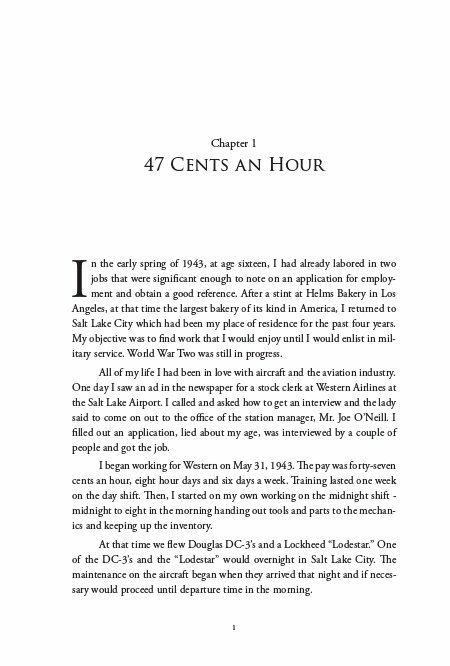 He was responsible for establishing a "hub" in Salt Lake City, Utah and did so in just a few short months, and with very little capital. Larry believed in miracles, and knew they could happen with hard work and dedication. He was instrumental in negotiations with Western's five union groups, and established a profit sharing plan. The day that his retirement was celebrated in Salt Lake City in 1986, the airline reported the highest annual profit in its 60 year history. Lawrence H. "Larry" Lee was born in Santaquin, Utah. 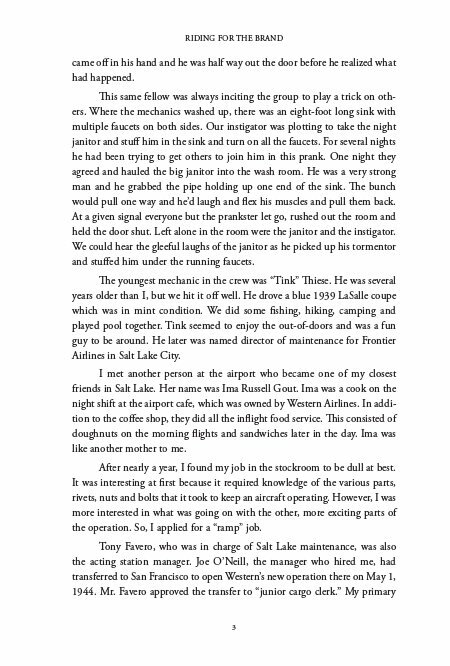 He began his career with Western Airlines in 1943 as a baggage handler in Salt Lake City, Utah. This is his personal history and details his 43 years with Western, and his rise to CEO and Chairman of the Board. 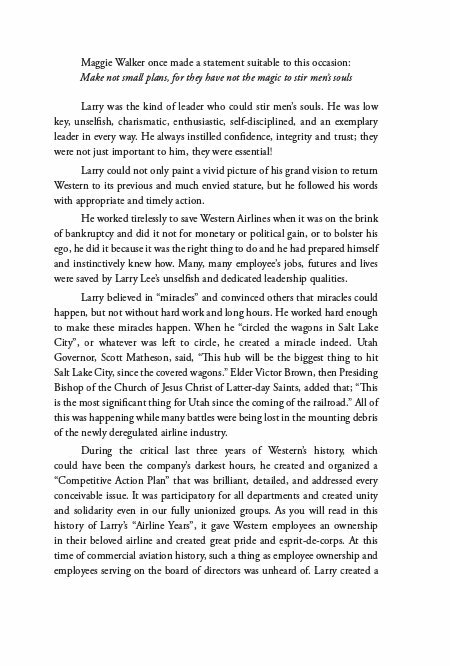 Larry was responsible for developing Salt Lake City into a "hub" for Western Airlines, and did so in only a few short months, and with very little capital. 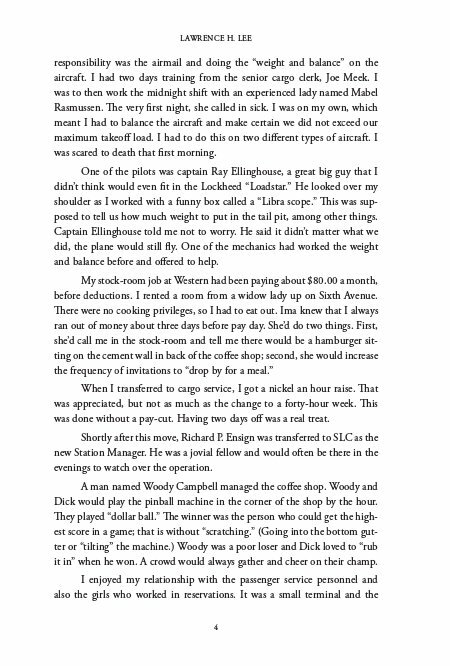 His career included positions in airlines operations, stations management, Central Training, Labor Relations and Inflight Service. Western was facing a grim future in a deregulated environment. When asking his employees to take pay cuts, he lead by example and took the heaviest cut himself; at times working without pay. On the same day that Larry was being honored at his retirement party in Salt Lake City, the airline reported the highest annual profit in its 60 year history. Larry was truly a leader in both word and deed. His honesty and integrity brought Western Airlines back from the brink of bankruptcy to become, once again, the Only way to Fly.